For years I have been walking past this bird nesting box, stopping occasionally to check it out. Never have I seen any inhabitants…until today that is! 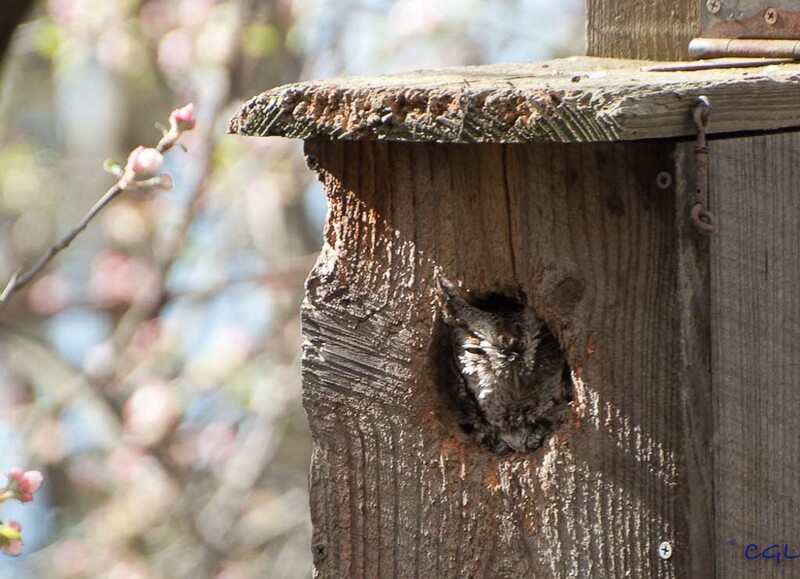 I tried to creep closer, hoping for more detail, but screech owls are apparently very shy. At least this one is. As soon as I approached the box, he dropped out of sight. I will try again tomorrow. This is amazing ! Love Screeches. Thank you. I was surprised and excited to see it.